I brought my top studio conversion set kit and aftermarket straight front wing with decal Japanese Grand Prix 2000 version from Studio 27 set. 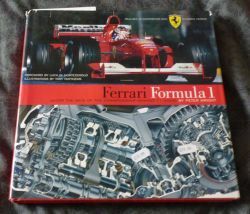 I brought my two books, What is you will looked this details, and I brought this expensive Ferrari Formula book with Ferrari F1-2000's details and photos, like one of Tamiya booklet on 1990's. 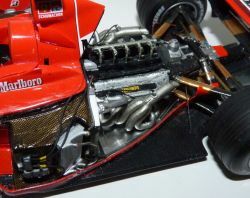 You should looked this details with different versions with this F1-2000 on Grand Prix 2000. 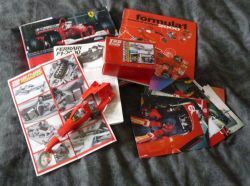 I has sprayed all bodywork with Tamiya, bright red all over on since 2011, and I has repaired and re sprayed it on last November, and it was oldest job on now, and I need build this F1-2000. 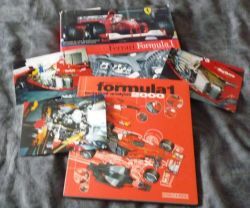 I have secret with my work progress with my Ferrari F1-2000 on this year, Hush! Excuse me for my curiosity, where are you from? I live in Mexico but I was born in Spain. 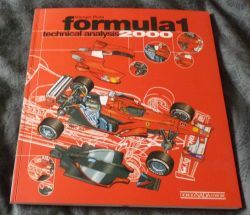 Jose, thanks for your comment about Ferrari F1-2000. 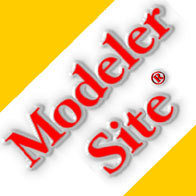 A personal thought about finishing, DON'T use clear over the paint and decals; using clear is very much in fashion among modelers these days, but we must keep in mind that, competiotion cars never used this kind of finish, in the year 2000, even street cars used it very seldom (only in certain models) and finally, ALL the sponsor declas in an F1 car were vinyl "stickers", they didn't shine the way the paint underneath did. Just a thought. It looks like it's coming out quite well, losts of work to be done yet, excellent choice. Just curious about which wheels are you going to use.